The Association’s Annual Conference is the highlight of its year. Usually held in February, it commences on a Sunday and is brought to a close at lunchtime on the following Wednesday by its Annual General Meeting. The Conference consists of a mixture of plenary sessions and workshops, and provides an invaluable opportunity for delegates to learn of the latest developments, to discuss matters of mutual interest with colleagues from different types of authority and areas, and to see the different products which are on display in the associated exhibition.The Conference Working Party chooses venues for the event which provide attractive facility rich locations to support the wide range of activities in the programme. 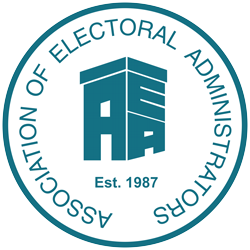 As mentioned elsewhere on this site, one of the great assets of the AEA is the network of contacts which has been forged and developed all over the country with the positive benefit that help is never more than a telephone call or a mouse-click away. Members are able to reap the benefit of this networking in person at Conference and also profit from the extensive programme of plenary sessions and more intimate practical workshops. September 2005 saw the start of a new venture for the AEA, when its first one-day National Seminar was held at the Madejski Stadium in Reading. This proved to be a great success and has since become an annual event, although it was decided not to hold the event in September 2014, when administrators were heavily involved in the new system of Individual Electoral Registration that had been introduced in July of that year.